Sustainability certainly can matter to some consumers and most breweries we have spoken with over the years are always glad to help those customers make informed decisions. 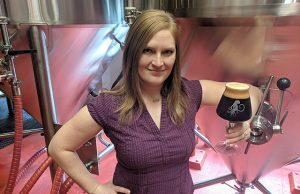 For Seattle’s Pike Brewing, Stasia Brewczynski said the 30-year-old facility is passionate about sustainable, well-crafted, and locally-made products, and the brewery’s Communications Director is always thrilled to share that passion with guests. That means having a list of best practices established to be able to effectively communicate to not just the consumer, but setting up a brewery’s staff for success with the knowledge of what is needed. For the first 10 years Switchback Brewing’s existence was draught only and Plant Engineer, Gretchen Langfeldt, said waste was very minimal. “We didn’t have to deal with bottles, cans, or any of the ancillary packaging so life was pretty simple,” Langfeldt said. “It was quite an adjustment when we entered the world of bottling and suddenly had piles of cardboard to deal with. We’ve adapted to this growth and are continuously working with our local solid waste district to keep our waste in the appropriate streams. Langfeldt said she is most proud of the fact that Switchback, located in Burlington, Vermont, has built a culture of reducing and reusing. 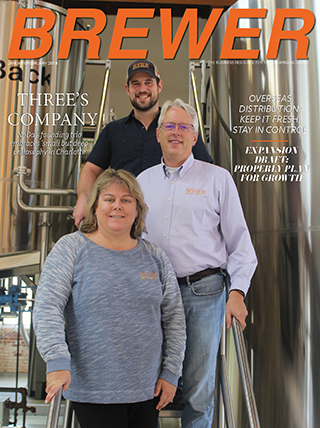 “Our crew is very conscious of not creating extra waste and finding secondary uses for materials while still maintaining complete focus on beer quality,” she said. Some of those secondary uses, for example, are using empty chemical drums as trash, recycling, and scrap wood bins throughout the brewery; having excess building material (wood, wire, conduit, etc.) is stored for use on future projects; and anything they can’t use they offer to local community members. Obviously some items simply aren’t suited for reuse and must be recycled, such as stretch wrap and super-sacks. Since 2012 Switchback has been recycling all of the LLDPE stretch wrap that comes into the facility through its local municipality, Chittenden Solid Waste District. From ​its start in 1988, North Coast has strived to make as small an impact on the environment as possible. 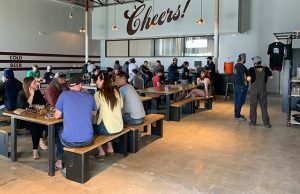 So North Coast utilized ​their spent grain and food-prep waste as animal fodder by local farmers and ​its spent hops became mulch for the gardens surrounding the taproom. Martins said that once ​a threshold is crossed where positive cash flow is regular and expected month after month, capital expenses that improve efficiency and sustainability become affordable. ​He noted​ that ​North Coast’s sustainability efforts that have moved the needle most significantly ​were pretty capital intensive. Two modern vertical multiport steam boilers replaced a single, large water-tube boiler in 2012, reducing fuel gas usage by 23 percent. 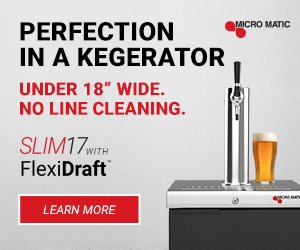 Replacing an undersized lauter tun with a mash filter press yields more extract per unit of malt while also decreasing the amount of water necessary to produce wort by 10 percent​. Martins said it​ further reducing fuel gas usage by 9 percent. North Coast ​also​ invested in transporting raw materials and packaging in bulk and on returnable pallets, finding partners to reuse the packaging that can’t be eliminated, and developing a carbon farming plan that closes the loop of brewing waste by composting and returning it to the land to sequester carbon. These and other practices have earned North Coast Brewing a TRUE Zero Waste Platinum Certification for diverting over 99 percent of solid waste from landfills. ​It also has covered the brewery with as many PV solar panels as the roof can carry ​and ​has generated over 620,000 KWh of electricity to date. Sustainability has always been an important part of the Pike business model. 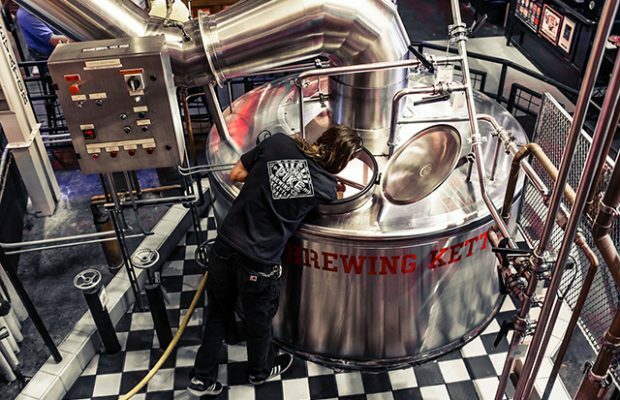 Brewczynski said the brewery is a sustainability-focused gravity-flow, steam-powered brewhouse. Sustainability efforts are always ongoing and new technology and company growth can help foster it over time, she added. For example, about ten years ago, Pike installed an LED lighting system that achieved a great reduction in power. Guests who take Pike’s brewery tours are offered perspective on how the brewhouse is designed with sustainability in mind. Sourcing locally is also highlighted on both of the pubs’ menus. “While some efforts certainly can double as marketing, all of them are core to the philosophy of Pike,” Brewczynski said. Langfeldt added that the Brewers Association’s Sustainability Tools have proved to be extremely helpful in tracking our efficiency efforts and provide Switchback with valuable industry comparison data as it looks for ways to continuously improve. Telling ​the sustainability story is crucial to ​North Coast’s sales approach ​as well​. 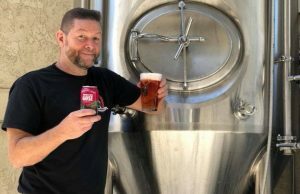 ​Martins also said that ​​North Coast Brewing ​prides​ itself​ in partnering with like-minded organizations outside of the craft beer industry whenever possible to make sure ​the message reaches as broad of an audience as possible. 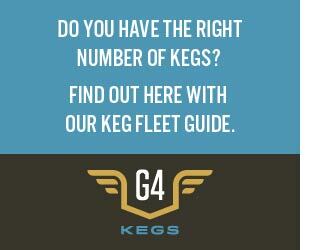 ​“​We keep this in mind with every trade event we participate in from festivals, to tastings and beyond​,” he said​. ​“​From coast to coast, our sales teams make daily use of our B-Corp status, our Non-GMO Project verification status, our waste stream composting operation.